Are you curious to know the value of a rare coin, currency or stamp collection that you inherited from your grandfather? 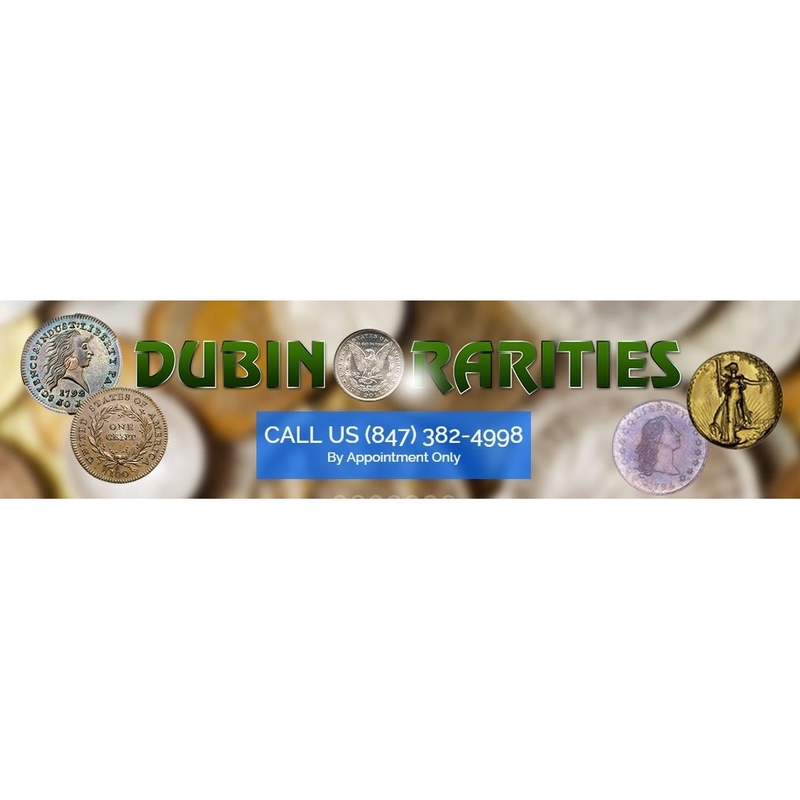 Call Dubin Rarities in Barrington, IL for a free verbal appraisal of your collection. We have been buying, and appraising coins, currencies, precious metals and jewelry for more than 35 years. We have the knowledge and experience to pay the highest prices for your finer collectibles. Bruce Dubin’s love of collectibles started over 35 years ago when he used to frequent coin shops in Boston, MA. He met many old time coin dealers on Bromfield Street who taught him about the coin and collectible business. He started setting up at local coin shows on the weekends and was so successful that he was able to quit his regular job to pursue a full time career in collectibles. In 1979 he was offered a position at New England Rare Coin Galleries, a high end rare coin company. This is where he was lucky enough to handle many rare coins, like the 1793 Chain Cent in gem condition. Bruce opened his own rare coin company in 1982, and in 1989, was offered a position as a buyer for one of the world’s largest rare coin firms. He traveled to all of the major coin shows and auctions, buying and selling very high end rare coins to other dealers as well as the public. In 1996, Bruce opened his own buying office in Barrington, Illinois, which he still operates today. Bruce has handled a large majority of the rare coins ever minted in the U.S, as well as some of the rarest United States stamps and currencies, which have realized world record prices at auction. He enjoys working with clients who are interested in rare coins, currency and stamps, and still gets a thrill when someone comes in the office with something rare or unusual.